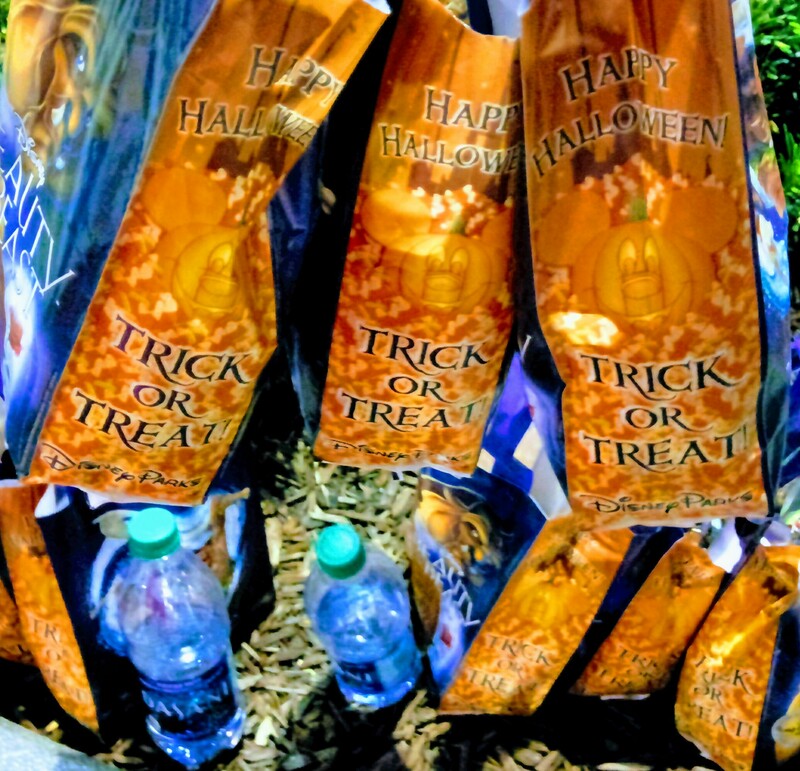 Surviving Halloween with an autistic child! There was a patter of feet behind me as I walked to the door. My four year old always followed me to the door, everywhere in fact. It was Friday afternoon, around four pm. We had walked home from school nursery and just sat down for some toast when there was a knock on the door. I opened the door and heard a terrified gasp from behind me. I turned to see my child frozen in fear, tears in their eyes, shaking! What happened next was not fun! The shocked mother apologetically left, my child screamed, and screamed and did not stop screaming for at least 40 minutes and I quickly wrote “please no trick or treaters, very scared children in the house” on a piece of paper and taped it to the door! What had happened? Why was she so terrified at the sight of her friend with a green face? It was a number of things. Firstly, children did not normally knock on the door at toast time. Secondly the girl from school doesn’t normally have a green face! Thirdly someone just shouted words at my child and they didn’t understand why! Everything was wrong! My child couldn’t understand what was going on, what had happened, why their routine suddenly changed, why their friend had changed, why her face looked funny and if the friend was friendly or not! For a neurotypical four year old this could be a scary experience, for my child the experience literally terrified her! This was my child’s first experience of Halloween. The fear of witches, green faces and Halloween itself lasted a good couple of years after that! For some autistic children Halloween can be a very anxiety provoking time. Imagine you don’t like change but everyone dresses differently. You can’t understand faces as it is, but people are coming to your door in masks and face paint. You struggle to talk to people yet you are expected to knock on doors and say something while funny looking strangers ask you questions. There are crowded parties full of noise and funny looking friends to contend with when you struggle in crowds and socialising. There are spooky walks organised for fun that seem more like queues with nasty surprises. People knock on your door that you don’t know and shout words you don’t understand. You go out and the streets are crowded, the houses are different and no one looks right! Noises hurt your ears and there are strange or loud noises when you don’t expect them. You are used to wearing the same comfy outfit all the time and you are expected to wear an itchy strange costume that feels funny and looks wrong. You are given piles of sweets and then they are taken away when you get home! It can be a recipe for sensory overload and more than likely meltdown! Here are some great tips for helping your autistic child deal with Halloween! Avoid parties or hold your own alternative party! Halloween parties are without a doubt going to be potential disasters so instead of attending one you can’t control try holding your own. Invite a very small number of trusted friends or family members and clearly explain the costume rules, maybe have a theme such as all wear the colour of pumpkins. Keep the party calm and short with a few sensory activities such as finding toy spiders in slime, painting pumpkins or fishing apples from water. Then have some Halloween themed snacks and give each child a small bag of sweets to take home. Make sure before the party your child knows exactly what will happen and have a visual timetable to refer to during the party. You could even just do this as a family if you don’t think your child would cope with the guests. If you are planning on taking your child trick or treating then practice in the weeks leading up to halloween! Let them have their bucket, pot or bag in advance and teach them to knock on doors in your house for a sweet before letting them have a go at your front door a few times. Practice saying “trick or treat” and “thank you” if they can. Practice taking the sweets out the bag and putting them in a pot in the cupboard for later. If you go trick or treating keep it short! Maybe choose houses you know where they also know your child or preparing houses on your street in advance by posting a note earlier in the day saying that your child will be calling later, they are autistic, may not be in costume, may not talk but want to join in with the halloween fun and are grateful for candy even if they don’t say thank you! Consider making a sign to go on your child’s bucket or a badge for them to wear explaining they might not talk but they are thankful. If your child isn’t up for knocking on lots of doors just do one or two or even your own! Dressing up can be too much for some autistic children so don’t worry too much if they don’t want to. If they do want to and have sensory issues around clothes consider putting the costume on top of their normal clothes. For a couple of years my son dressed as a ghost by simply putting a soft blanket over his head and cutting eye holes. This worked great because no one could see his face, he took a taggy blanket under the ghost blanket and he wasn’t expected to talk to people because he had no mouth! If the costume annoyed him he just took the blanket off! Last year even the ghost costume was too annoying so he went as a cereal killer! I got a box of cereals, painted red on it and cut it up a bit. Then I stuck a plastic dagger in the side and he carried it around to collect the candy in! Be prepared for meltdown or shutdown! We have always taken the car trick or treating to be able to make a quick getaway if needed. If you have other children who want to trick or treat then consider sending them with a friend or drive them to houses and let them get out to knock on doors. Take a torch, ear defenders, comfort toys and anything you might need and most importantly don’t be worried about going home if it all gets too much! Be prepared if your child doesn’t like candy or can’t eat it for dietary reasons! You can always hand out alternative treats to your neighbours in advance to give to your child. Or if your child will understand have a swap box full of treats that they can swap for their candy when they get home. Stay home and hand out sweets instead! If going out trick or treating is too much consider staying home and handing out candy as an alternative. Be sure to prepare your child in advance about trick or treaters, maybe using a social story about dressed up people coming to the door and saying “trick or treat” then putting candy in their bucket or bag. Role play the situation over the days before Halloween too. If answering the door to trick or treaters becomes overwhelming simply leave the sweets outside and put a friendly note on the door asking people not to knock! Start a new Halloween tradition! Who said you have to trick or treat or go to parties or dress up? When I was small Halloween scared me and my brother so every Halloween my family used to have a meal then go for a drive to the beach and watch the waves splashing over the sea wall! Think of something your child would manage and enjoy and do that instead! How about a family film night with popcorn or a special trip to see a favourite person or place? If your child is young enough simply stay in the house and treat it like any other day. Stick a polite note on the door asking trick or treaters not to knock and if they do simply don’t answer. If you like you could even leave a bowl of sweets on the doorstep. If your child is older and really doesn’t like Halloween you can do the same! Just because everyone else loves it doesnt mean your child has to. I really hope some of these tips help you and your child to manage Halloween this year! I admittedly started reading this before reading the title, but then it all made sense. I never thought of this difficulty in regards to autism, but it certainly makes sense. Glad you learned how to mitigate it and are sharing. Those are great ideas on how to best handle the holiday for you little one. These ideas are great for all children, those with and without autism. My grand daughter was terrified of halloween and refused to go tricker treating until she was four. We find church to be the best place for our holiday. Great tips, I’m glad your bub has come to like it enough to dress up. Love the cereal killer costume! I also never thought of preparing a list for a child. I have a son with special needs. This is great. I’ve never been a fan of Halloween mainly for some of the reasons that also frightened your child. I think it’s a brilliant idea to make it less stressful by creating alternatives and preparing the child to explore what it’s all about. My cousin has autisum and it is so hard, the slightest thing can set him off. It is so scary for them anything new, you have to slowly introduce them to something. Great description of what is definitely not the easiest occasion to handle with kids. Loved the honest tips. Guess skipping it all together is an honest option too! I don’t know much about this festival of Halloween cause we don’t celebrate this in India but I can surely make use of some tips for other festive celebrations we have here 🙂 Thanks for sharing! Well I am not from your country, so I dunno whatbhappens at Halloween. But I did seen some scenes from TV and Movie. But again I have to say, that you are lucky that your children are having fun with it. Thank you for sharing your story. Though I can’t relate, all I can do is to have an open mind and understand every situation. I have to admit that even as a child I never once participated in Trick or treat, my Parents didn’t like Halloween and I understand that. Also we just got a lot of teens doing it in my hometown and they’d egg your house or throw things at your house/ car if you weren’t in. I can’t imagine the fear it would cause for a child with autism though. You know, I want to tell you that you have taught me many things about dealing with autism and I have shared your posts with my friend that has a child with autism. Thank you for all the information and I would never even think of the possibility that a celebration like halloween would possibly cause stress. I really enjoyed reading this post. I love that you are helping to other moms dealing with their children on Halloween, especially if they have autism. I have a friend who has autism. So I know how hard it can be to understand the child and how to deal with it.